This preschool winter theme includes winter preschool activities such as winter crafts, a snow ice-cream recipe, free printables, winter theme nursery rhymes and more. Winter may not be the warmest, brightest time of the year, yet there are still plenty of activities one can enjoy as you and your children study this season of the year. Click on the links or the images to find more information about each activity below. Make a delicious, frozen dessert using this snow ice-cream recipe. Real snow is required! Create a tree collage showing a bare tree in winter. Fold and cut paper to create these unique and beautiful snowflakes. 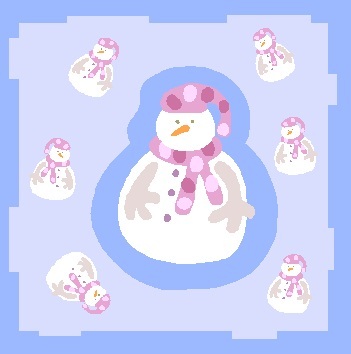 Make this snowman collage picture using fluffy cotton wool and confetti. Create an assortment of concertina people or shapes to add to your winter fun! 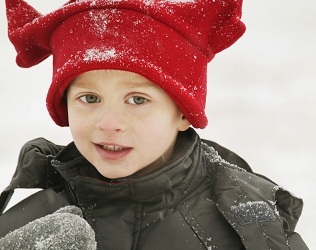 Teach your kids some of these easy winter preschool songs and verses about the cold, wind, rain, snow etc. during your winter preschool theme. 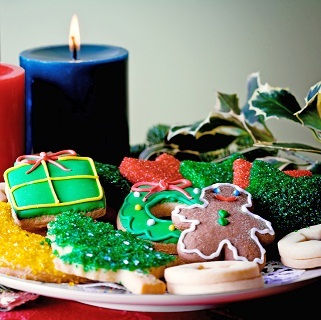 Explore some easy Christmas craft ideas for kids to make gifts and decorations for the festive season. What preschool themes have you done? Get ideas from others, comment and share here! Upload a photo and share your successful kids' preschool themes too!